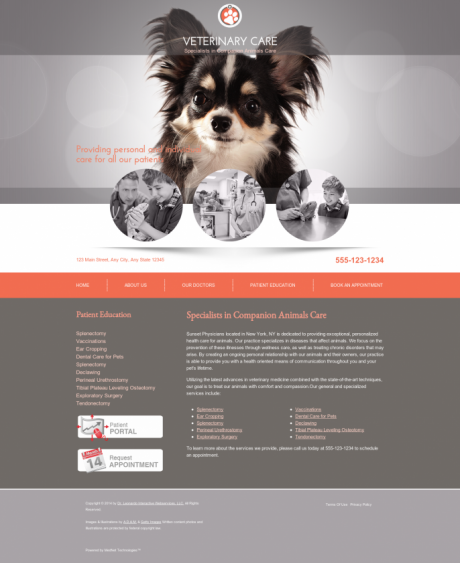 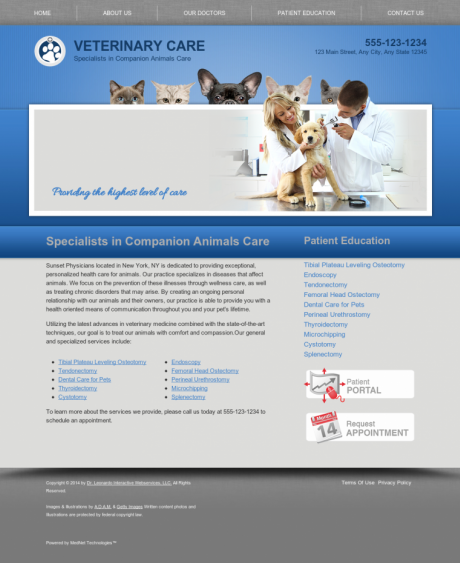 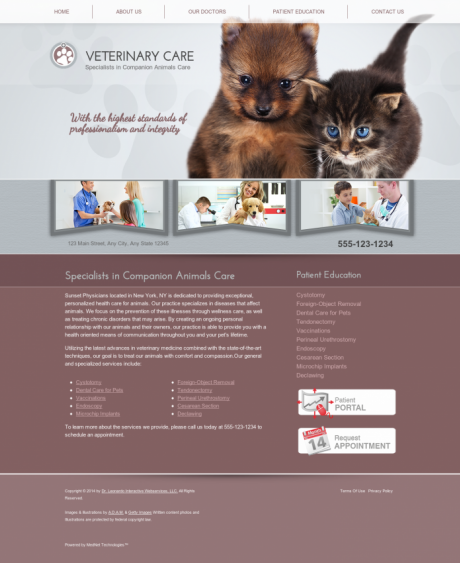 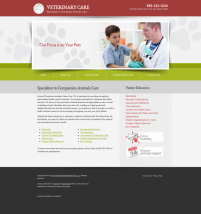 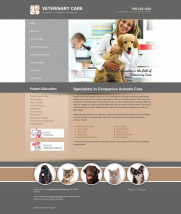 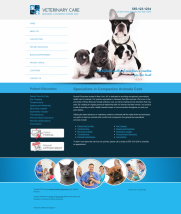 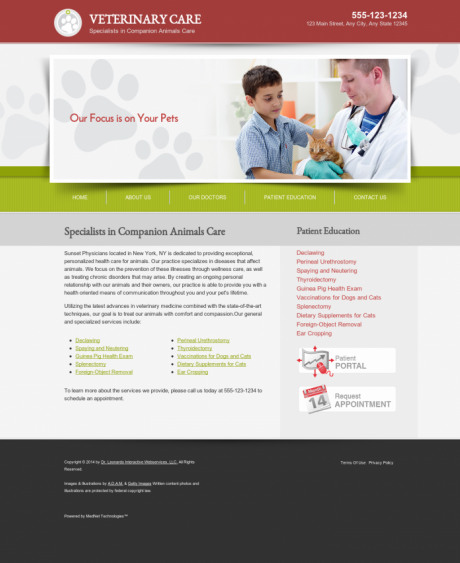 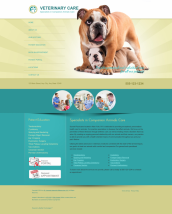 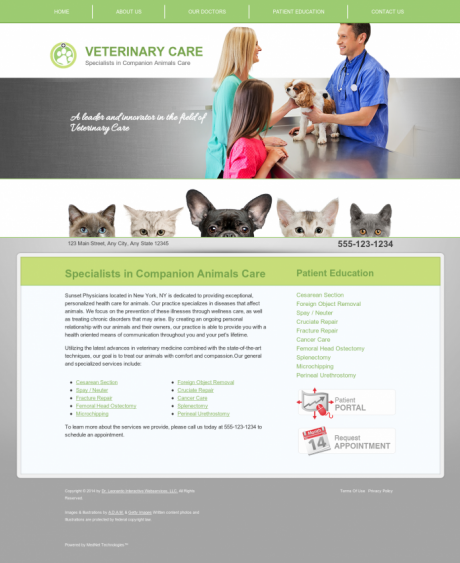 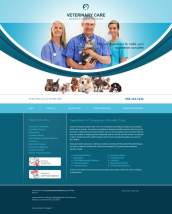 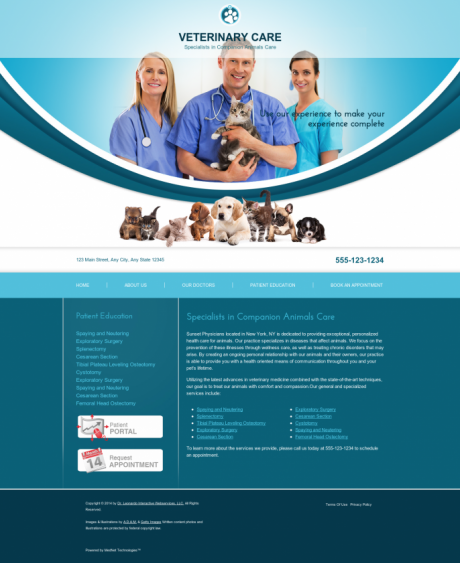 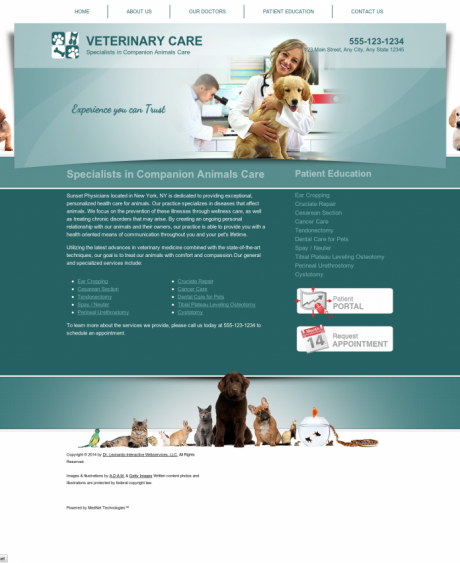 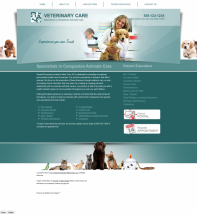 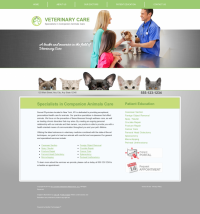 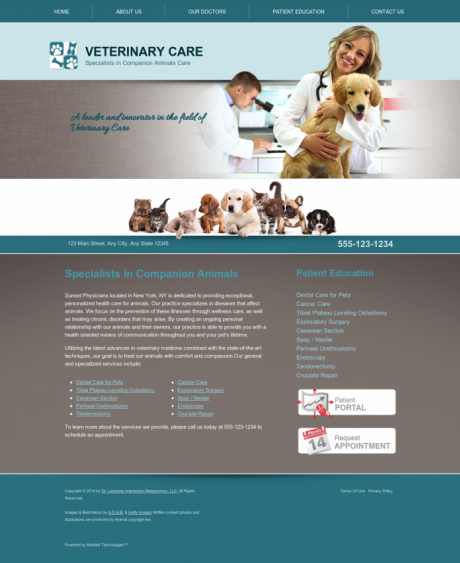 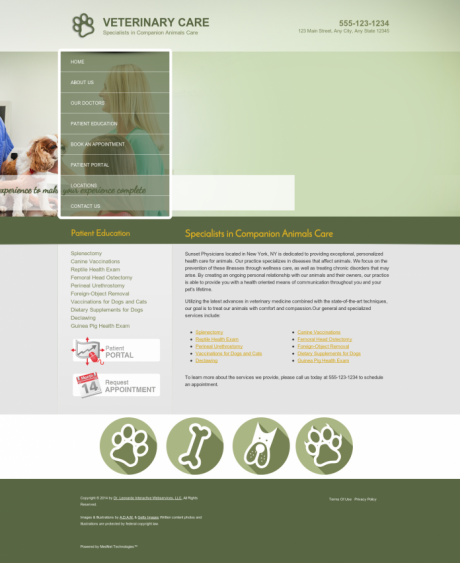 Dr. Leonardo lets you choose from eighteen (18) different design themes for Veterinary. 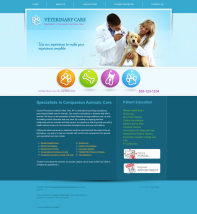 Flexible design tools make it easy to change layouts, adjust images, and customize your website. 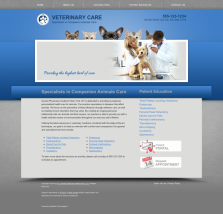 Arthritis is as common in animals as it is in humans. 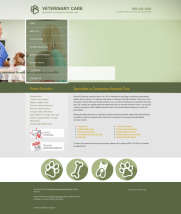 Also known as degenerative joint disease, arthritis involves the loss of the cartilage that coats and protects the end of the bones in movable joints. 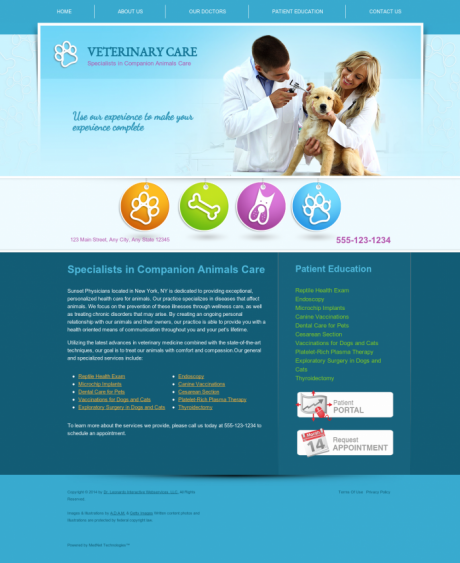 When the uncoated nerve ends on the bones touch, the result is pain and inflammation. 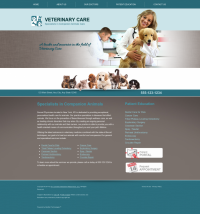 This most often occurs as a result of wear and tear, but the animal may have an underlying hereditary predisposition to the problem. 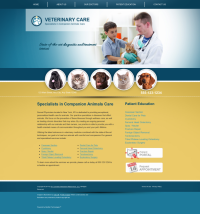 Arthritis in dogs is most often an inherited condition known as degenerative osteoarthritis which may manifest in several ways, such as hip dysplasia or patella luxation. 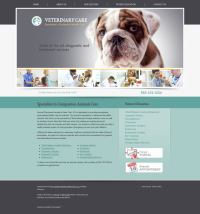 Osteoarthritis may be more frequently found in particular breeds, especially large ones, and is more common in obese animals. 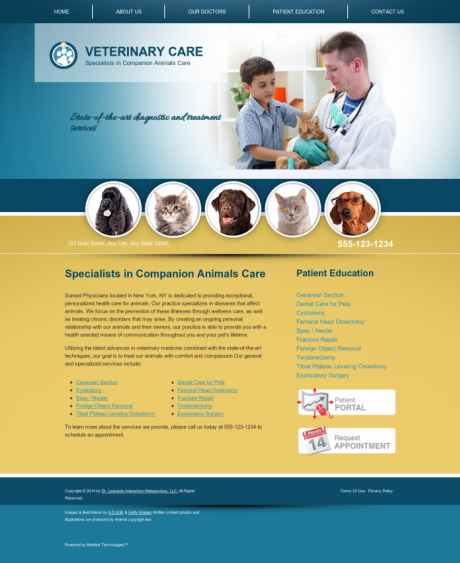 Arthritis in dogs and cats may also be caused by injury, by infection of the joint (septic arthritis) or by an immune-mediated inflammation (rheumatoid arthritis). 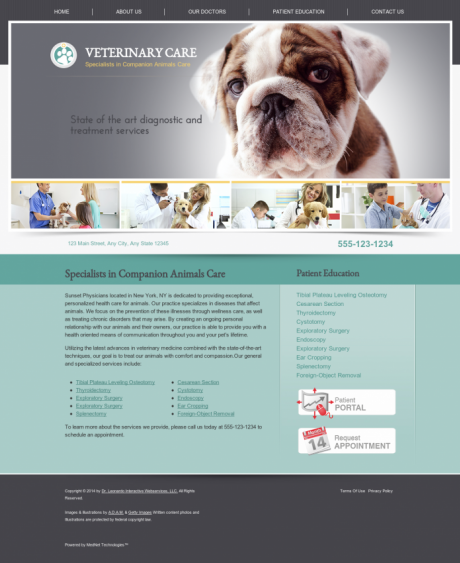 The latter, caused by an invasion of white cells from the immune system into the joints, may occur as a result of disorders such as polyarthritis or Lyme disease, or may be the result of chronic bacterial or fungal infection or cancer. 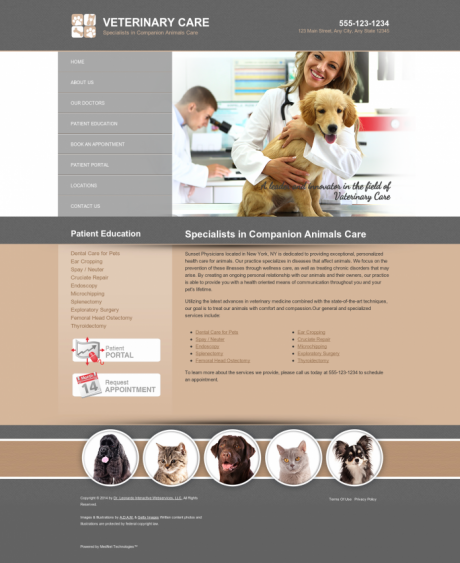 Such treatments may vary, depending on the cause of the condition, and, in most instances, several may be administered concurrently. 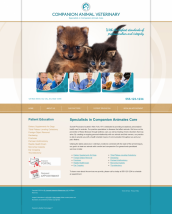 When surgery is necessary, only the hip can be replaced in dogs and cats, whereas in larger animals, knee and elbow replacements may be possible as well.